Hosts were wonderful and very helpful. Location exceptional. Quiet when sleeping but two minute walk to everything. We loved our stay at Casa Leonor. The beautiful rooms and outdoor space are amazing with true resembalance from the pictures. After walking through the grand front door and entrance we received a lovely, friendly warm welcome. We immediately felt at home and got all the infomation that we needed for our stay in Jerez. The location could not be better and we were recomended excellent local tapas bars and activities that were were literally a short stumble away. Wished we could stay longer and would love to return. Stylish comfortable studio, with a great layout. Everything you might need. Spacious, private balcony and access to a beautiful pool area, with beach towels available too. Lift for easy access. Host really helpful and friendly. Great central location. 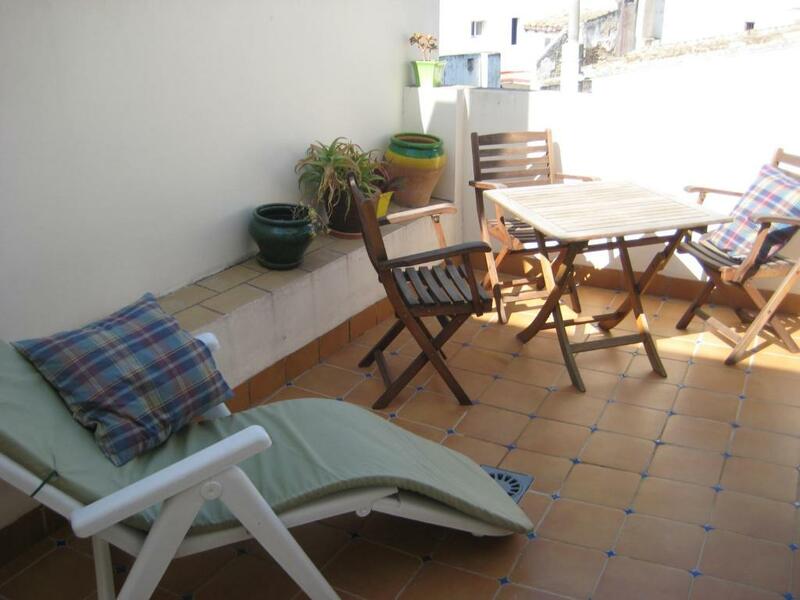 Location is perfect, just off the main square and near to bars, restaurants and sites. 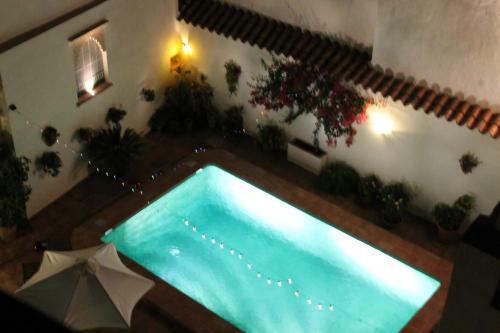 Lovely roof terrace and courtyard pool area. Hosts were excellent - able to drop off our bags (arrived early), gave us loads of local information, even gave us a lift back to the airport! Beautiful building and pool, it even had a lift,nice terrace and lovely small swimming pool. In the centre of old hisforical city within a very short walk of the main square with good shops and lots of restaurants. Once you have worked out the road network it is a great base to explore nearby towns and beaches. Really enjoyed our stay in this beautiful, easy going ,town centre house. The host was very friendly and helpful. The location was second to none , right in the old town with everything on your doorstep . Heartily recommend. The private terrace with table, chairs and lounger was great to enjoy the good weather and swimming pool was lovely too . Comfortable room with a nice terrace. Beautiful roof terrace and a swimming pool downstairs. Lift to first floor. La ubicación es perfecta, en el centro de Jerez. La anfitriona de ha portado muy bien indicándonos sitios de interés. tagterrassen swimmingpool. utroligt søde og på alle måder hjælpsomme værtsfolk. Obwohl unsere Ankunft erst nach 20 Uhr war, wurden wir sehr sehr herzlich von Leonor empfangen. Die Unterkunft ist wunderbar für eine Jerezerkundung: Tapasbars, Restaurants, der Arenalplatz, der riesige Markt mit Fischhalle, sämtliche Attraktionen wie Pferdeshow, Flamenco, Bodegas fußläufig erreichbar. Dazwischen kann man sich im kleinen Pool erfrischen und sich auf der eigenen sonnigen Terrasse mit So-Schirm und schönen Möbeln erholen. (Wir hatten das Appartement mit Terrasse). In der Wohnung kann man jederzeit nach Bedarf klimatisieren. Es blieben keine Wünsche offen. Danke für alles! Lock in a great price for Casa Leonor – rated 9.3 by recent guests! One of our best sellers in Jerez de la Frontera! 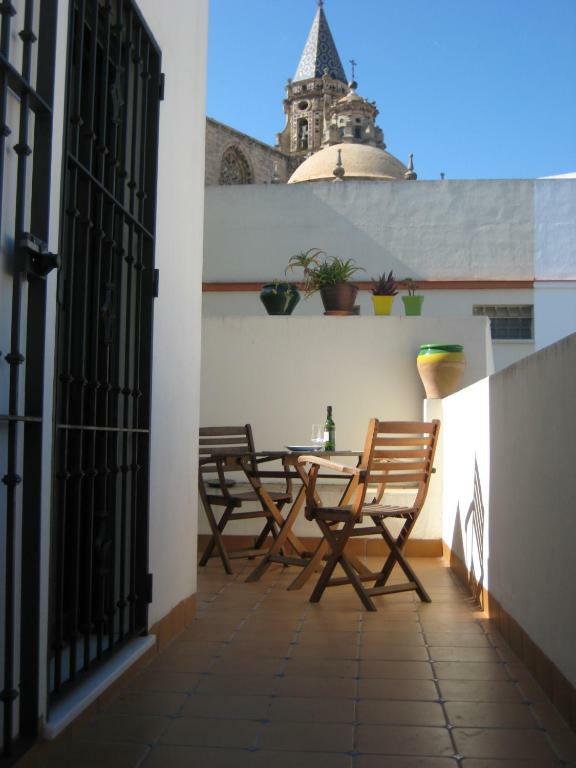 Located within a 13-minute walk of Jerez Cathedral in Jerez de la Frontera, Casa Leonor has accommodations with free WiFi. 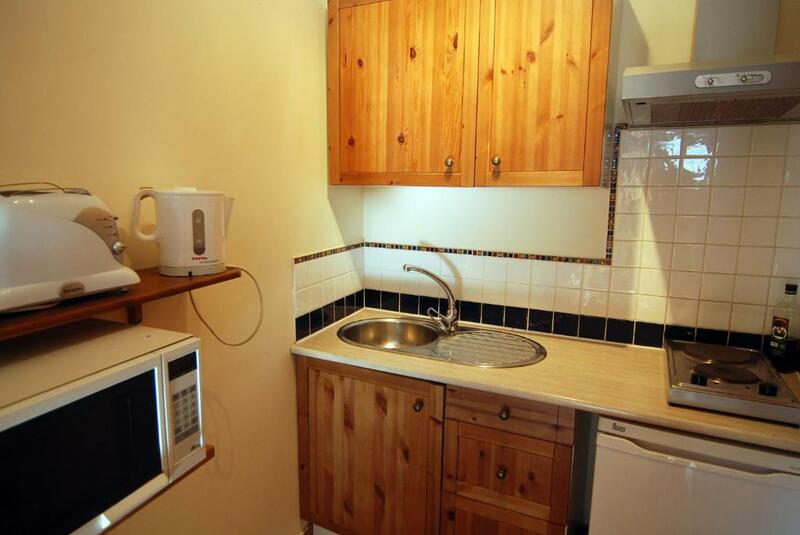 The units have a fully equipped kitchen with a microwave, electric tea pot, and a toaster. 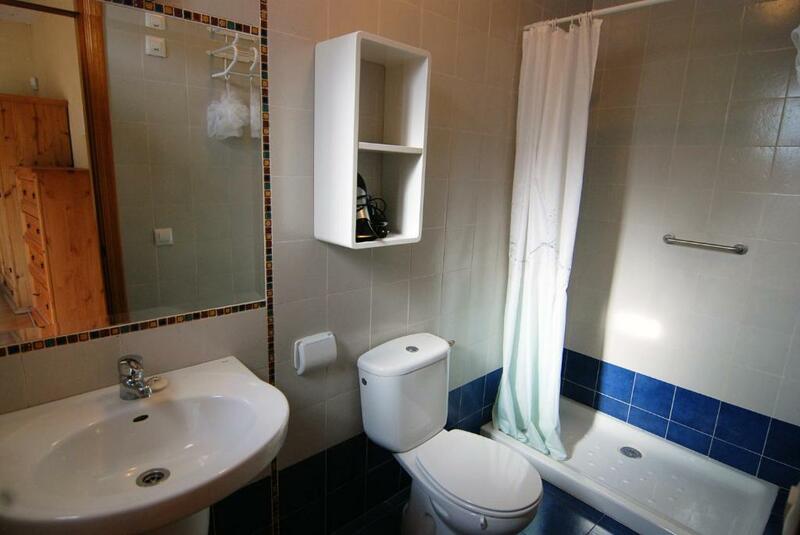 There's a private bathroom with shower in all units, along with free toiletries and a hair dryer. The apartment has a year-round outdoor pool. Casa Leonor provides a terrace. Villamarta Theatre is 0.7 miles from the accommodation. The nearest airport is Jerez Airport, 8 miles from the property. 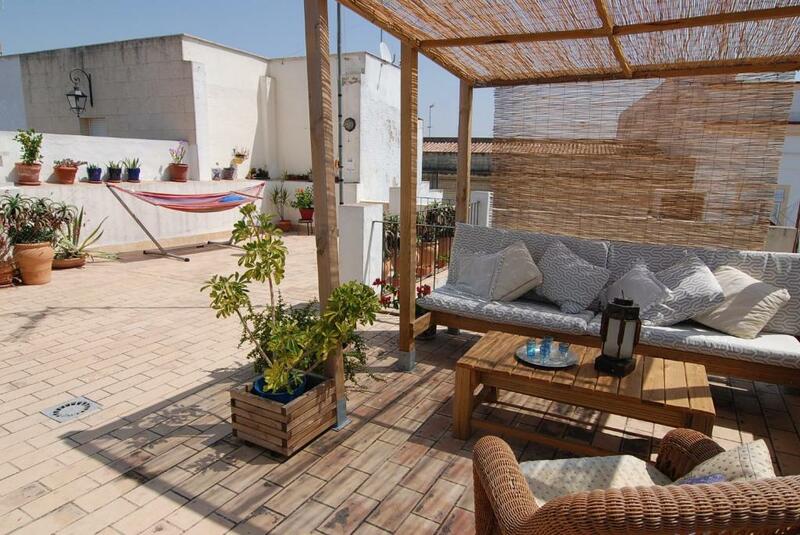 뀐 Located in the top-rated area in Jerez de la Frontera, this property has an excellent location score of 9.6! When would you like to stay at Casa Leonor? This apartment features a sofa, patio and tile/marble floor. This apartment features a patio, microwave and air conditioning. The reason you will want to stay at my apartment is the outdoor space - and you come to Spain for the sun, not to sit indoors! 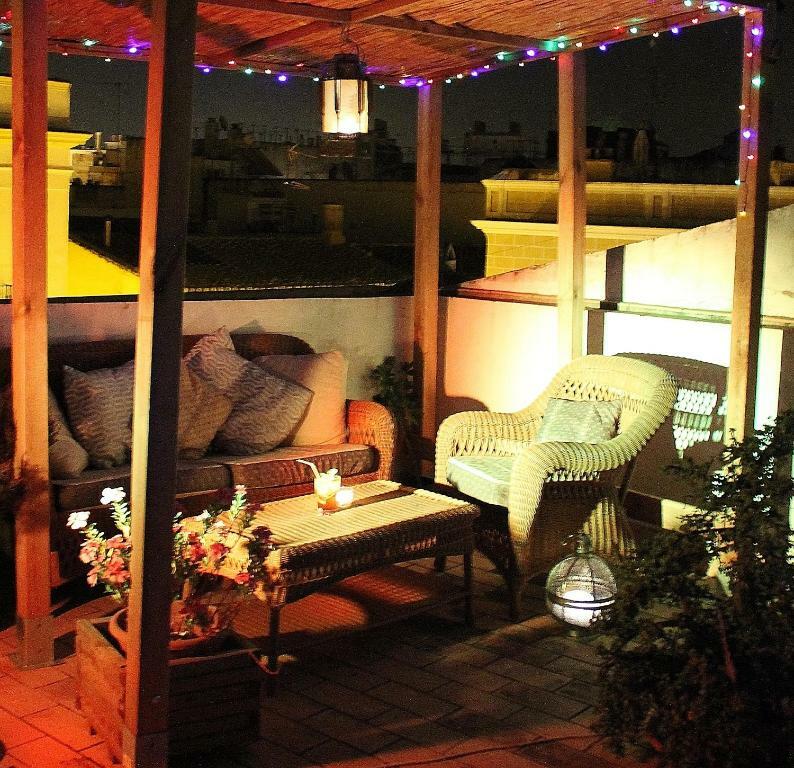 The apartment has a personal secluded terrace. South west facing. Sun beds so you can tan in privacy and comfort. There are table and chairs so you can eat outside only a step away from the kitchen. And then there is a shared pool, deep and green, on the ground floor. So peaceful. It is shared with 3 other apartments, but you might never see the other tenants, as each is secluded and tranquil. 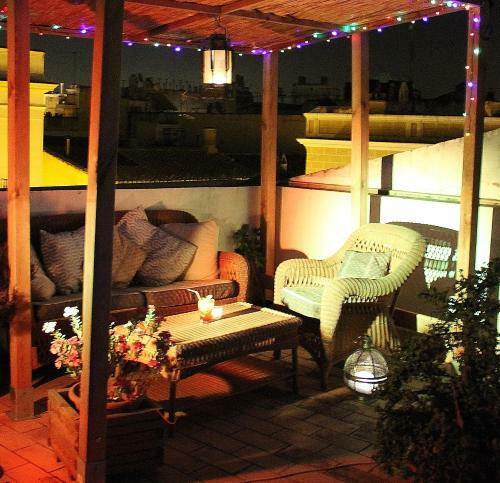 In addition the shared roof terrace has hammock and chill out belvederes, perfect for a relaxing sunset cocktail or a spot of star gazing. 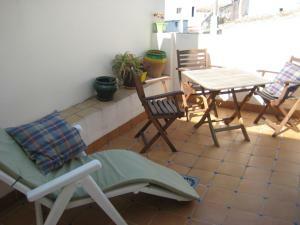 The apartment is modern but in an old restored andalucian house with many of the original features restored. The quality of the fixtures and fitting is above normal and any problem, the host lives on the first floor and can usually resolve any problems immediately. Or translate, or provide that spice you need for your recipe, or book taxis, or recommend local events and activities way beyond the local tourist information service. I am english but have lived in Jerez for 13 years. I love the town, its culture and the surrounding area too. It would be my pleasure to share my enthusiasm for the area with you so you absolutely get the most out of your visit. Jerez is famous for sherry - so you can visit many wineries .. and they are quite distinct. Some offer a horse show with their wines, another has a selection of exclusive spanish art, another has a technical tour displaying manufacturing equipment historic an contemporary.... always a great display of pride in the quality and very localised origin of their own sherry wines. And flamenco. 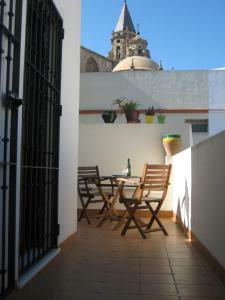 The apartment is in San Miguel district - 1 minute walk to the town centre, and imbued with flamenco culture. Spontaneous singing in the bars, dancers of all ages and sizes unable to resist the rhythmn of a guitar, jumping up to the music. It can be an intense experience. Not a tourist show, just local people, doing what they love. And you are welcomed. This is not such a touristy town as Sevilla or Cadiz or Granada. It is a town with old fashioned values and many traditions, all of which the locals are more than happy to explain and share. The best thing to do in Jerez - choose your favourite bar, buy a coffee or a sherry, sit in the shade of a blossoming orange tree and watch the world go by. The church bells will ring the hours, but there is no pressure to move on or spend more. Luxury. House Rules Casa Leonor takes special requests – add in the next step! Please inform Casa Leonor of your expected arrival time in advance. You can use the Special Requests box when booking, or contact the property directly using the contact details in your confirmation. Ants all over .. bed, kitchen, floor and table . But I love this place. Shower head really needs replacing and the towels could do with a fluffing in a tumble dryer, but small points. We were lucky when visiting that casa leonor wasn't full as the pool is small and if everyone wanted to use it at the same time it wouldn't be so pleasant. Shower was inadequate due to a small problem of the shower head needing replaced. Television didn't work properly. Late entry.